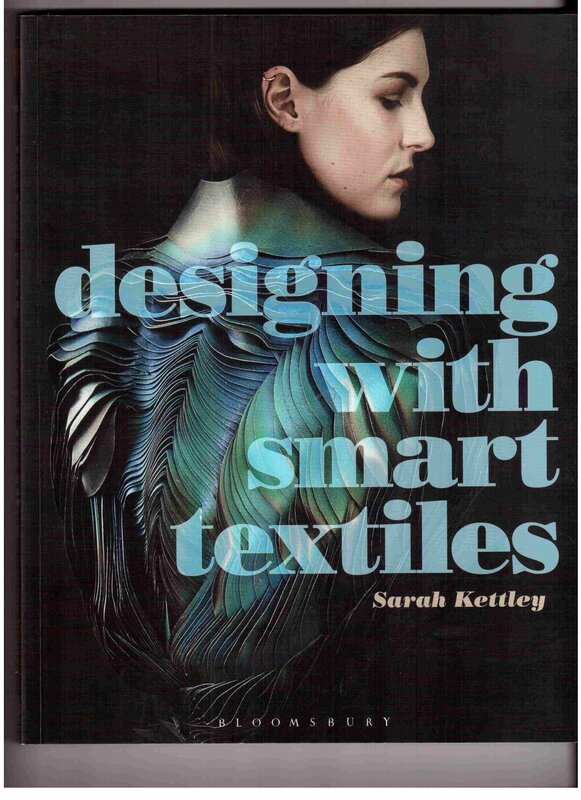 A new edition of a scientific Sarah Kettley was issued in 2016 (Nottingham Trent University, England, UK), Designing with Smart Textiles, which sums up the world innovation in the field of technical textiles, one of the leading areas is Smart Textiles.). 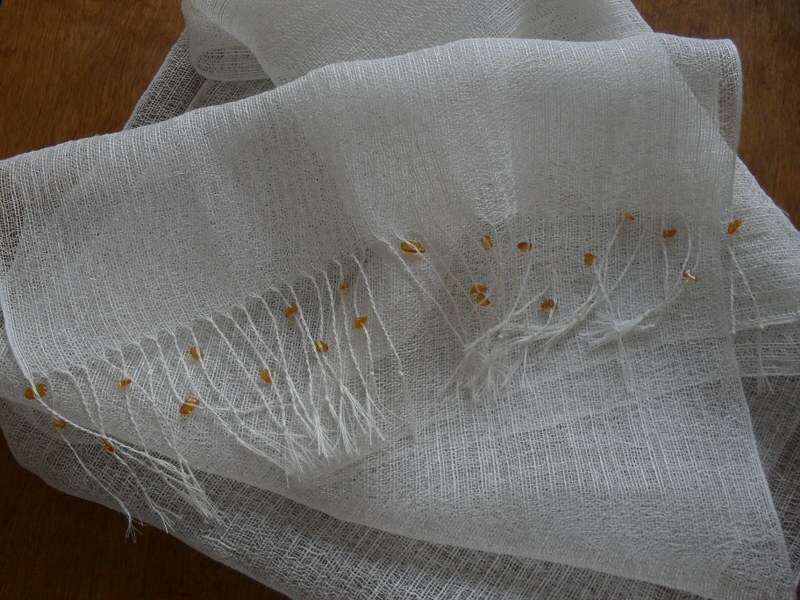 The book deliver first hand advice from leading researchers and practitioners in this hybrid field, as well as offering practical skills for both designing with existing textiles and developing your own Smart Textiles. 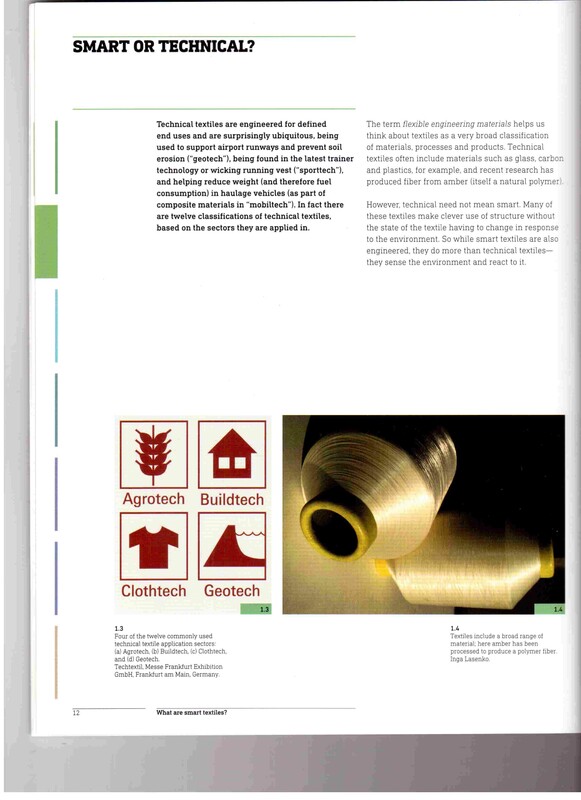 In the book are discussed important conceptual frameworks for working with Smart Textiles, features practical design projects and business advice drawn on from the experience of world leaders in the field, such as: Sabine Seymour, Barbara Layne, Clothing+, Mette Ramsgaard Thomsen, Maggie Orth, Joanna Berzowska, Tilak Dias, Tessa Acti, Martha Glazzard, Linda Worbin, Rose Sinclair, Stephen Barrass, Sophie Alidina, Cute Circuit, Lost Values and Kobakant. Among which is named a scientific from Riga Technical University Dr.sc.ing. 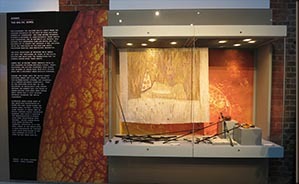 Inga Lyashenko, with the scientific development of composite amber yarns.